Autism is a funny thing. Not funny haha – well actually, sometimes its funny haha, but funny in a peculiar way in that there are some common aspects and yet every child with autism presents it slightly differently. If Autism was a song on the X factor, each child would be credited with ‘you made it your own’ Equally, the experiences of parents can range from shock and sadness to relief and acceptance. 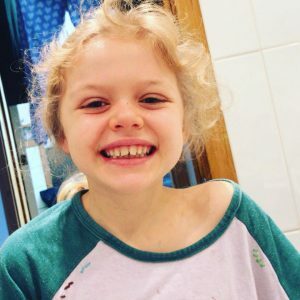 For today’s blog I asked 8 parents about the first indicators that their child was on the autism spectrum, what help they received and how they felt about the diagnosis. These are their autism stories. 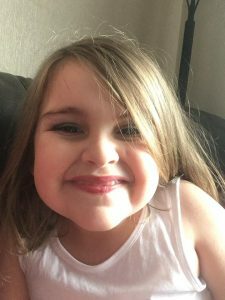 Gemma ~ I didn’t suspect autism for a while but I knew something was going on when Isla wasn’t reaching her developmental milestones. The big indicator something was different came when her speech never came. She started to babble and then it stopped, she didn’t speak a word. Help is a funny word because when we needed it most it wasn’t forthcoming. Professionals would tell me I was comparing my children, that she was just behind, that I was paranoid, anything but we will take a look at her. After she failed her 2.5 year check we started to go through the whole diagnosis process, starting with audiology and speech therapy. Ann ~ It appears we are some of the lucky ones. Our boys were both diagnosed with ASD by the time they were four years old and they both received appropriate support from services, organisations and in their different school settings. But what if we hadn’t? The National Autistic Society were on BBC Radio recently saying that in some areas of the country people are waiting years for a diagnosis. If people move, this effectively means they are not getting diagnosed at all. Renee ~ Something felt not quite right for a very long time with my daughter P and I just knew there was more to this story than everyone else allowed me to think. I’m kooky when it comes to my gut instincts but they rarely let me down. Then I read a blog and alarm bells starting well and truly ringing. We are lucky to have private medical insurance through work and jumped the queue to see a top specialist at The Portland Hospital. After a million questions and loads of questionnaires the Doctor diagnosed P with High Functioning ASD (Autism Spectrum Disorder). She asked if we wanted to contest her diagnosis but we didn’t. She was just confirming what we had already come to terms with. Now we have a diagnosis on the way we can start to access the support our family so desperately needs. There is no shame in having a child on the autism spectrum. Ps condition hasn’t been caused by anything that anyone has done or could have done differently. There will be no guilt and there will be no apologising. This is the way she was born and what my husband and I now need to do is start equipping her and the rest of our family with the tools we all need to live a happier life. Jo ~ I knew Z had autism from a very young age. He wouldn’t really cuddle, hated being swaddled, had to have the same song on repeat to go to sleep at like 3 months! No eye contact from him as a baby, so there was just no interaction. I kept on at health visitors for 18 months. We had a new one when he was 18 months old and he was diagnosed before he was three. The diagnosis didn’t change anything. I’m glad he had it as it helped him get into Sen school. Steph ~ It was Sasha’s delayed speech which made us go for a speech therapy referral, although we didn’t suspect autism at the time. We were passed on to a pediatrician from there. Help for us was hooking up with other parents. The pediatrician gave us a leaflet about a group we could go to who all had girls with autism. After that, we joined wider autism groups but most of them now are online as Sasha has refused to leave the house more often. They have been the most help over the years! Becci ~ As a tiny baby, Sonny was easy. He fitted seamlessly into our routine and I coped well juggling his needs alongside those of his big brother who was just 2 at the time. He was a content little thing, rarely cried, very settled and life was great. With time he grew bigger and as he grew I started to notice little differences. He’d already reached 2 years old and wasnt saying many words apart from the odd ‘Mumma’ here and there. Instead he blew raspberries and babbled away in a language as unique as he was. By the time he was toddling, I had noticed my happy go lucky baby had gone. In his place was a tearful, fearful little thing who struggled to cope with seemingly simple situations. Taking him shopping was hard work and I didn’t understand why. There was no reason for his meltdowns that I could see. Crowded, noisy places seemed to trigger him the most. I go back to the only time I’ve ever taken him on the London underground, he was so beside himself that he vomited on the tube. There was no consoling him besides removing him from the situation and as his mother I felt utterly useless. There were many times I cried because I felt like I was failing him. I was frustrated with him. 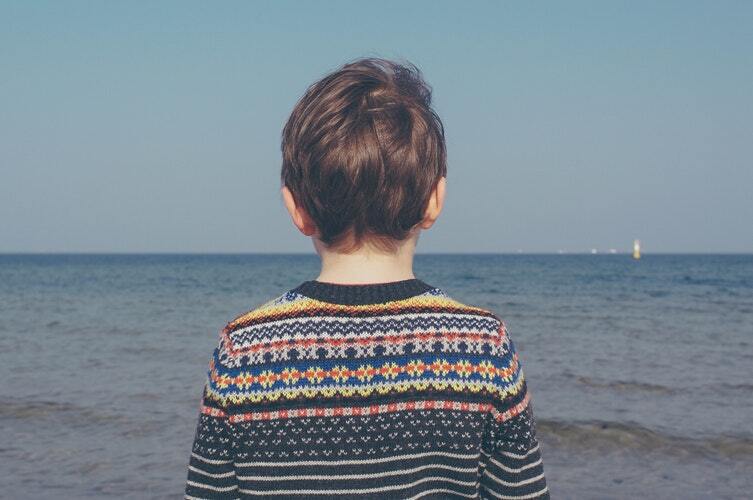 I frustrated with myself for not knowing what on earth was happening to my little boy. I so wanted to help, I simply couldn’t find a way. For a while I found myself focusing on the things that made him different. The set rules and routines we had to follow. The manner in which we spoke to him for him to better understand us. The fussiness of meal times and having to present food in a set way, beige and plain. I found myself continually on edge, desperately trying to avoid the next impending meltdown. Life consisted of avoiding situations and isolating myself from friends and social gatherings. The more I learnt about Autism, the more I understood the reasoning behind Sonnys behaviours. I made it my mission to not change him to fit our way of life, but to change our way of life to include him. We were welcomed with open arms into a community I didn’t know existed. I focused less on what he struggled with and more on what he loved. We have worked hard to get where we are today. I may not have always fully understood Sonny, but I do now and I will go to the end of the earth to make sure everybody understands him too. Until they see him the very same way I do. Miriam ~ I thought Isaac had autism very young too. He never looked at my face, ever, even while breastfeeding. He was blank, never copied anything or really responded to me, he would just wave his hands in front of his eyes continually all day. He would eat, sleep and just sit there. I remember a friend coming to visit when the twins were around five months. She picked up one baby and chatted and played with her and she smiled, laughter and played. She picked up Isaac and he showed no interest and she said it was like holding a child’s doll. I knew right away then something was not right. Both mine were delayed in meeting milestones but unlike Isaac I was convinced Naomi was ‘fine’ right up until she started nursery. She was a very late walker at 2 and a half but talked, gave eye contact and played. 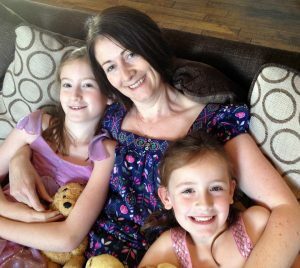 I was shocked when a senior health visitor who was using my twins as a case study for her autism degree spoke to me and suggested Naomi was tested too. My biggest concern back then was her silence in nursery and I naively thought she was just missing her twin brother and her mum! I was heartbroken at Isaac’s diagnosis. His report stated severe autism with significant global developmental delay and pica. I knew he would never ‘recover’ and if truth be told, it felt like a death sentence to me as all my hopes for my son vanished in one appointment. With Naomi I was much stronger, more knowledgeable and far more hopeful. She has no learning disability and is verbal which made me feel far confident about her future. I am not sure what support I really had as I lost so many friends and family. They never called or contacted me. 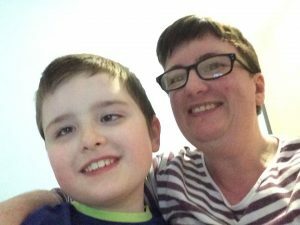 My mum emigrated a month after my son was diagnosed. Only support groups, one local one in particular was my life line. Blogging has been my release and connected me with people who finally understand my journey too. Becka ~ I suspected when J was a year but looking back I think there were signs earlier on. J had followed the norms and was already starting to say basic words at 9 months. But a few weeks after that he stopped communicating. No talking, babbling, waving, pointing. He was focused purely on doors and mechanisms and wasn’t interested in playing. Looking back, he never was much for eye contact and didn’t react to sounds and his name as other babies did. Hearing tests were all fine so they just said it was nothing to worry about. I asked our health visitor for help but it was slow going. After several visits she agreed that a referral to the child development centre (cdc) was needed. We started to see a specialist speech therapist. Everything moved pretty quick and we had a diagnosis when J was 2 (nearly 3). Our story is slightly different. Once my boys were at nursery it was clear that Harry wasn’t socialising as well as Oliver. He tolerated other children around him but didn’t interact with anyone. He obsessed over certain toys and didn’t make eye contact. He rocked backwards and forwards but we put many of his behaviours down to his sensory impairment from having one eye and ear. After extensive assessment at home and nursery we received his diagnosis of autism and when I left the assessment centre and got into the car I sobbed. 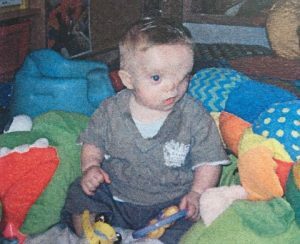 Hearing that my son had half a face was hard enough but I was told that the syndrome didnt affect his mental functioning(the majority of people with Goldenhar have no other conditions). To hear that he was having his words taken from him and that he may struggle in other ways as well just felt so unfair. Autism runs in my family and my personal opinion is that there is a genetic link but unlike the goldenhar I never felt guilty about his autism diagnosis. It was just something else to get my head around and work into our lives. 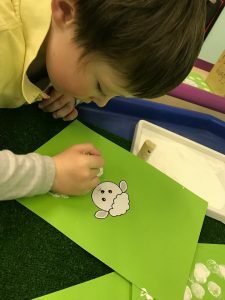 Harry was already receiving such a lot of support through nursery for his visual impairment and physio so speech and language was just another professional to add to the list. However, the thought of sending Harry to a special school broke my heart and I thought of so many reasons not to send him to a special needs ‘institution’. You can read my blog to find out how that went. Nowadays, I have some days where I feel that autism makes all our lives a little harder and I have days where I see the wonder that it has brought into my life. Even if I had a magic wand I don’t know that I would wish the autism out of my son because that would change a part of who he is and I love every part of him. 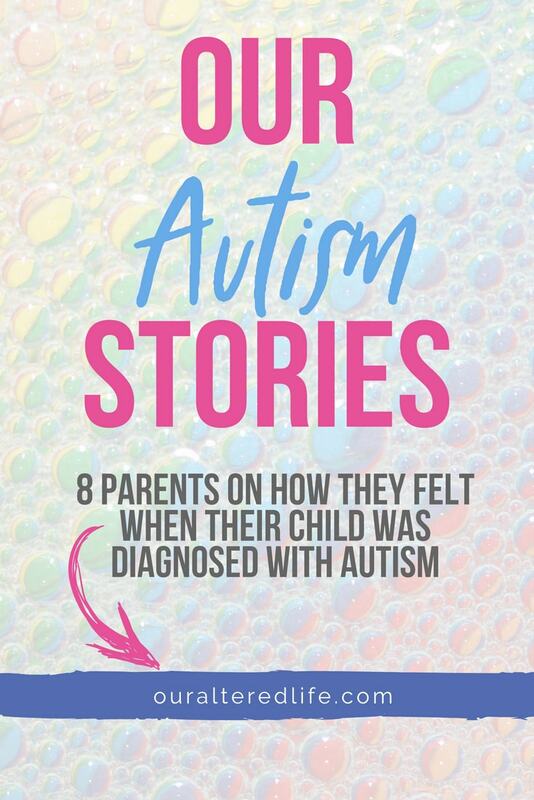 However our stories started, wherever the journey may take us one thing is true for every parent of children with autism. We love the bones of our children and would do anything for them. In that respect we are no different to any other parent. But we also run on less sleep and more anxiety, have thicker skin than most, are well versed in the word of the local authority and are used to thinking on our feet to avert a potentially stressful situation. This might not be the life any of us would have chosen but it’s a life we all fight (sometimes literally) to make work for our families. We find calm in the chaos, order in the confusion and love in the unknown. These are just a few of our gifts as autism mommas. These are just a few of our stories.